The perfect gift for someone who has everything . 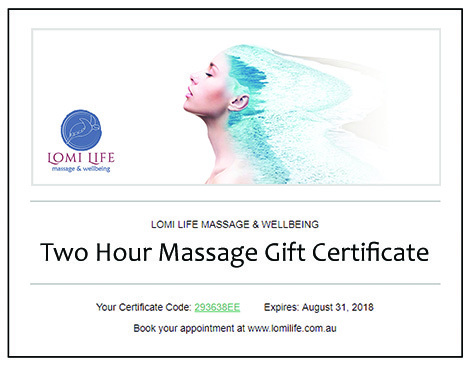 . .
Give the gift of an amazing, blissful, rejuvenating massage experience with Lomi Life. You can purchase a $50, 1 hour, 1.5 hour or 2 hour massage gift certificate ($100, $140, $180 respectively) online instantly below. (Example shown).